The search for income is one of the largest challenges clients are dealing with in this low interest rate environment. Many are answering the need for income, by taking on a great amount of risk. Investors are far better investing for total return and seeking to hold a quality portfolio of income-oriented investments that do not reach for yield. 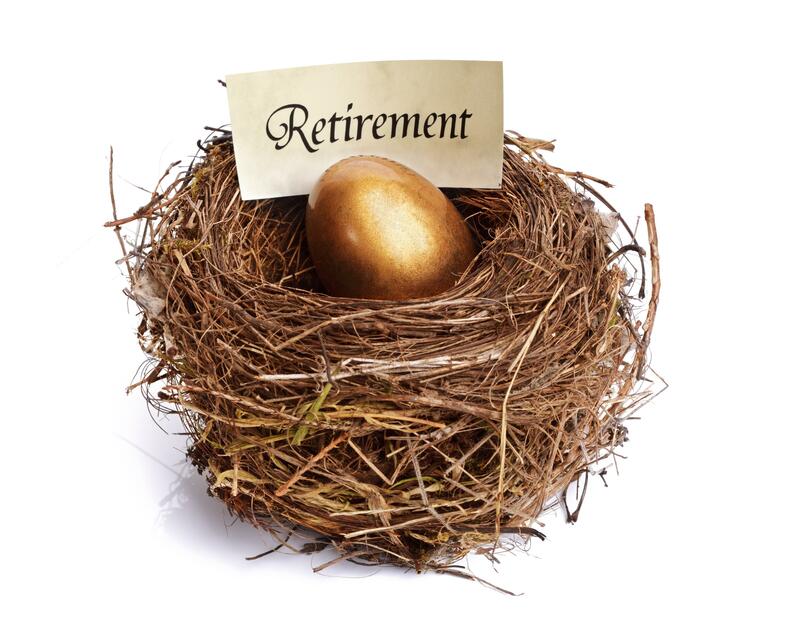 For many investors the thought of planning for retirement is a far-off endeavor. Once you get there, it is important that you have a plan to attain the necessary income needed to live the life you want. While it is a part of many investors' income picture, social security is inadequate to meet their income needs. Bonds currently have ultra-low yields that provide investors with safety of principal but little in the way of income. This leads to a growing need for alternative income sources. In this piece I want to give investors some additional sources of income that may meet their needs. Real estate generates high levels of income. While investors can purchase individual real estate, one then has to deal with the maintenance and rent collection on the property. If this is not an issue for the investor it may be the most direct way to secure a steady stream of income in retirement. However, for other investors who wish to avoid the physical ownership of real estate, there is still a way to gain exposure to this high yielding sector: REITs. REITs or real estate investment trusts, offer investors the ability to own a cross section of the commercial real estate market, for example, and achieve heightened income yield, without ownership of physical real estate. The T. Rowe Price Real Estate Fund (TRREX) is an excellent choice for investors. The fund yields 2.44%, and provides investors with a low cost, low turnover option to gain exposure to the real estate market. My favorite option in the sector remains DFA Real Estate Securities (DFREX), which has a low cost, low turnover strategy that uses DFA's portfolio management philosophy of skewing the portfolio towards value and small cap stocks in the sector. 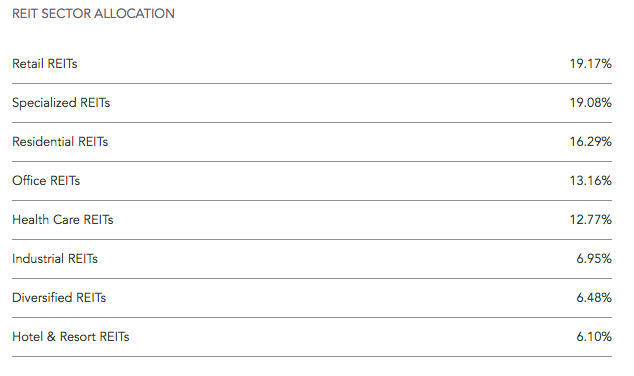 Below is the REIT sector allocation for the fund. All three of these options provide heightened income payouts, by focusing exposure to specific areas of the REIT market. Investors should always do their due diligence in selecting a real estate fund, as yield is not the only factor. Investing for total return and purchasing a broad real estate fund will provide the best balance of risk and return for investors over the long run. While it may seem an obvious area for income these days as investors are piling into dividend paying stocks to avoid the negative real yields on government bonds, what is not as obvious is including an international focus on your dividends. By limiting one's dividend-paying stock holdings to the U.S., investors are leaving potentially higher yields overseas on the table. The Tweedy Browne Worldwide High Dividend Yield Value Fund (TBHDX) is an excellent long-term holding for investors looking to invest in high-quality securities from around the globe, purchased at a reasonable valuation, that also happen to have above-average dividend yields. Research has proven dividend yields are an essential aspect of an investor's return over long measurement periods. Adding a fund that looks around the globe for Benjamin Graham-type value investments that also carry nice dividend yields is advantageous to retirement investors. The fund also reaches its return with less risk than the market. Over the past five years, the fund has a beta of 0.79, and a standard deviation of just 9.82. While the recent past has seen sub-par performance for the fund, this is largely due to the international markets lagging U.S. markets. Investors should maintain a long term focus here, as the firm has a storied history of delivering for investors with less risk than the market. This year the fund is up 12.09% and yields just over 2%. When combined with a solid U.S. dividend fund such as Vanguard Equity Income (VEIPX), which yields 2.61% or American Funds Washington Mutual (AWSHX) which focuses on growing dividends and yields just under 2%, investors can build a solid dividend portfolio offering competitive total return. When building a portfolio, I have found it is far better to focus on high quality, even if the dividend yield is lower. Stretching for yield often results in taking more risk than is needed. Another area where investors can look for income, is income focused balanced funds and high yield bonds. I do not personally recommend high-yield bonds, because in my opinion, investors are taking on equity-like risk for a return that has historically been below equities. The research on the equity premium clearly supports the notion that investors are better off taking their risk with equities, and leaving any bonds they choose to hold for safety. For investors willing to take the risk in high-yield bonds, two funds to look at are AB High Income (AGDIX), which yields 6.01%, and American Funds High Income Trust (AHITX), which yields 5.31%. Another fund, which holds more investment grade debt is Dodge & Cox Income (DODIX). All of these should be considered if investing in corporate bonds is appropriate for your situation. In the quest for income, many investors are risk averse and want a one-stop solution for their investment needs. 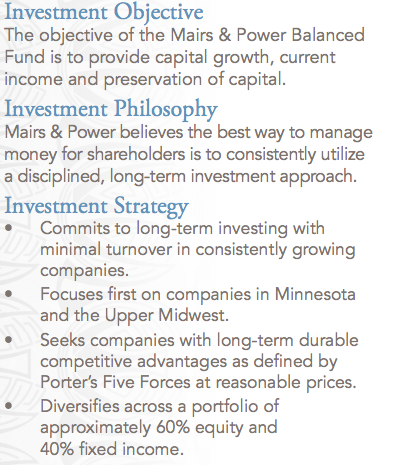 My preferred option in this space is Mairs & Power Balanced fund (MAPOX), which offers a 60%/40% mix of stocks and bonds. The fund manager tends to hold the bonds in the portfolio to maturity and has a long-term buy-and-hold philosophy on the stock side, which leads to exceptionally low turnover, last year just 2.29%. The firm aims to take advantage of their geographic location and invest in companies predominantly in Minnesota and the upper Midwest. The fund returned 11.42% last year. For investors willing to take a bit more volatility, Dodge & Cox Balanced (DODBX) offers investors a competitive total return package over the long run. 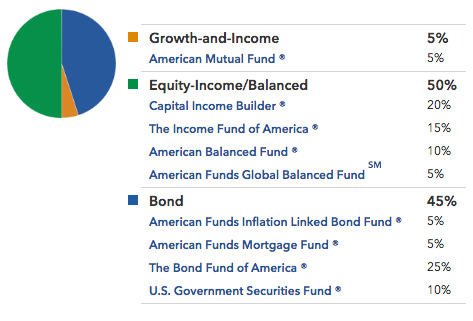 The yield on the fund is lower at 1.86%, however total return is what matters here. The fund returned 16.56% last year. The managers at Dodge & Cox use a committee approach and maintain large investments in their own funds. Dodge & Cox has been winning for investors since its inception in 1930. Another option is a combination of Vanguard Wellington and Vanguard Wellsley Income. The combination offers investors a 50%/50% allocation to stocks and bonds, and provides a nice, low-cost portfolio that produces competitive income yields and total return through a long history. For the most conservative investors there are three good options. The first is Berwyn Income, which is one option that focuses on risk mitigation and providing income. The fund holds a mix of assets, including dividend-paying stocks, preferred stock, convertible and corporate bonds, and other assets. The fund currently is trying to manage duration risk on the bond side and thus only yields 1.56%, but offers a historically smoother ride, and reasonable total return. The second is Vanguard Retirement Income (VTINX). The fund uses a passive strategy and owns a mix of stock and bond index funds that allocate assets into a 70% bond 30% stock mix. The fund yields 1.9%. It is not something I recommend, but for investors who want a simple low-cost option, this works. The third option is American Funds Retirement Income Portfolio Conservative (NAARX). This fund of funds is a complete portfolio for a conservative investor in retirement. 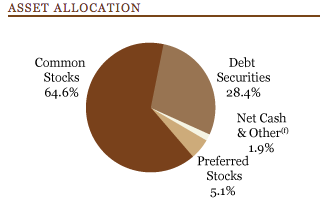 The portfolio is made up of other American funds into roughly a 60% bonds/40% stock allocation. The portfolio yields 2.05%. Finally, for investors seeking only capital preservation, the usual idea of holding only government bonds no longer makes sense in this low yield environment. In fact, CDs currently yield more than U.S. Government bonds out to 30 years, and they carry FDIC insurance. However, investors must still be aware that inflation will eat away a great deal of this yield. If an investor is going to go this way, it is important to keep your CD terms short in order to take advantage of rising rates. Seeking income in a low-rate environment is extremely challenging. Investors would be wise to take a total return approach and select the strategy that will provide them with the best mix of risk and return for their specific scenario. As I stated, it is not generally wise to reach for yield at the sacrifice of quality. Many of the options presented here provide retirement investors with good long-term options that balance capital appreciation with the need for income. Disclosure: I am/we are long TBHDX. I wrote this article myself, and it expresses my own opinions. I am not receiving compensation for it. I have no business relationship with any company whose stock is mentioned in this article. Additional disclosure: This article is for informational purposes only and is not an offer to buy or sell any security. It is not intended to be financial advice, and it is not financial advice. Before acting on any information contained herein, be sure to consult your own financial advisor.